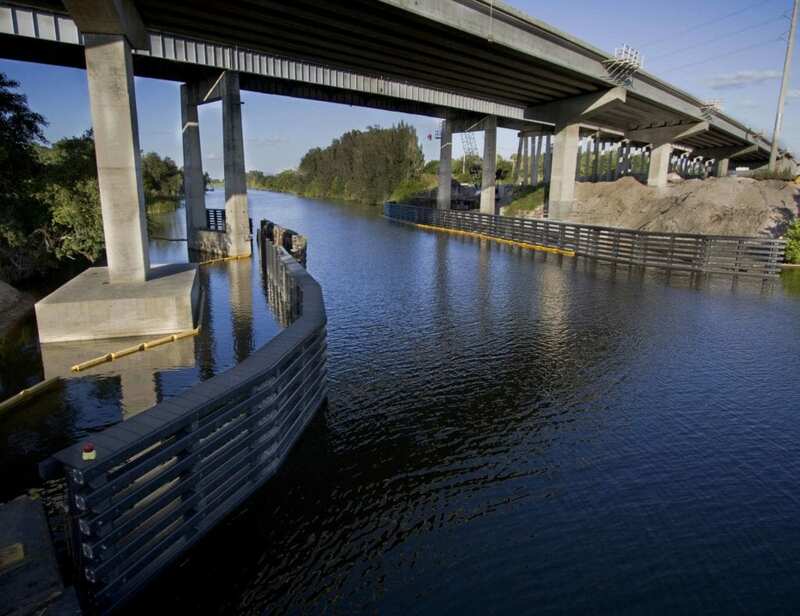 Many project components, including piles and dolphins, create secure structures that help guide vessels and barges through channels away from bridge supports. 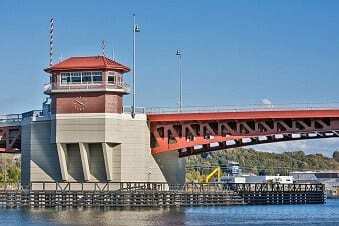 Bridge pier protection systems keep the bridge intact and out of harm’s way by absorbing energy when boats and barges knock up against the structures. Traditional building materials like wood, metal and concrete can break down, degrade and corrode in marine industry applications because they’re submerged in water. Treated lumber can leach chemicals into the water, which is harmful to marine life. Rust from metal can find its way into drinking water, and concrete won’t hold up because seawater includes calcium, potassium and other chemicals that can break down the material over time. Consider a wood alternative building material instead of using a short-term solution that will need to be replaced and repaired; look to the long-term environmentally-friendly solution: structural recycled plastic lumber. Bedford Technology has over 25 years of proven experience in manufacturing marine-grade structural HDPE plastic lumber. Bedford Technology’s structural recycled plastic lumber offers technical properties and performance characteristics perfect for marine applications. Able to withstand extreme weather conditions like snow, extreme heat, cold and high levels of moisture, structural HDPE plastic lumber won’t mold, rot or degrade and is resistant to marine borers and crustaceans. Bedford Technology products are sourced from post-consumer and post-industrial recyclables like milk jugs and laundry detergent bottles. So far, Bedford Technology has helped keep millions of pounds of plastic out of landfills by repurposing it into a durable and tough building material. Bedford Technology offers four product lines that offer long-term durability and varying degrees of strength. The performance characteristics and technical properties make this building material your complete solution for bridge pier protection. FiberForce® by Bedford Technology – utilizes fiberglass strand to increase rigidity. The added rigidity increases strength performance characteristics, ensuring high performance and long-term success. Consider FiberForce® for dock boards, fendering system walkways and joist and stringer beams. BarForce® by Bedford Technology – reinforced with fiberglass polymer rebar, this commercial-grade HDPE plastic lumber building material offers resilience and compressive strength properties, unlike traditional wood. 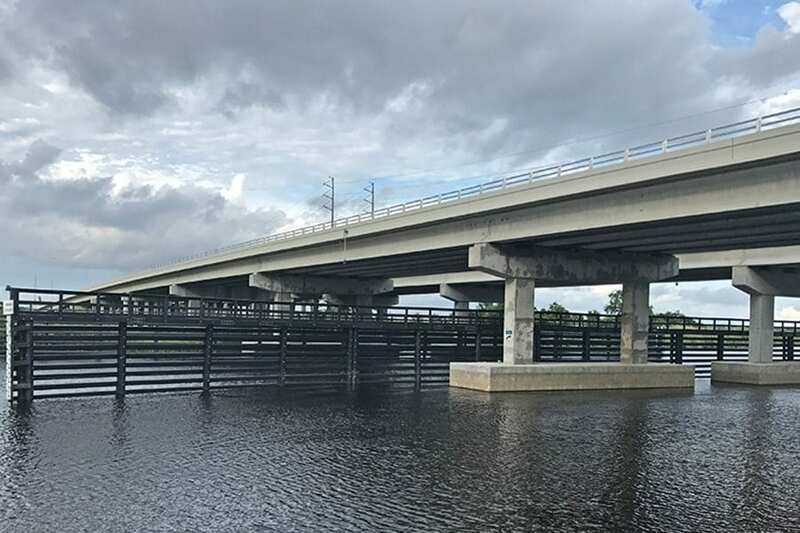 BarForce® allows for longer spans and is best-suited for marine projects like waler beams, retaining walls and marine substructure components. SeaPile® and SeaTimber® by Bedford Technology – are premium solid composite piles and timbers fortified with fiberglass polymer rebar. These product lines are engineered using the multiple extrusion manufacturing process, which gives the material strength and rigidity. They are able to withstand heavy impacts by absorbing energy through recoverable deflection. 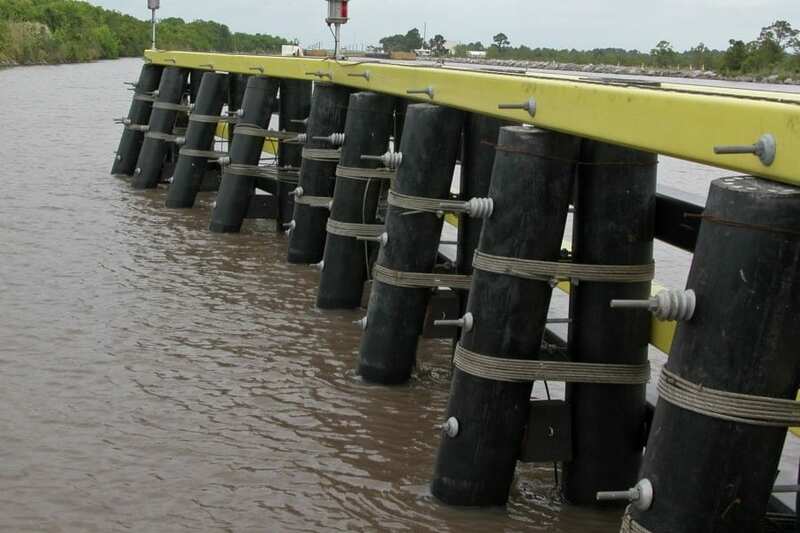 Use these product lines for heavy-duty marine applications like piles, wave attenuation, dolphins, fender systems, bridge supports and pier protection systems. Keep Your Bridge Pier Protected with Bedford Technology Products! Contact us today to get all of your questions answers, and get on board with Bedford Technology!